UNANNOUNCED INSPECTIONS OF three residential services and two respite and support services have found that, overall, children were well cared for, but in some cases aftercare plans were insufficient and restrictive measures were used without a risk assessment being done. Three of the residential centres used “restrictive practices,” such as “alarms on children’s bedroom doors, locked kitchen door at night time and room searches,” according to a statement from the Health Information and Quality Authority (Hiqa). One centre “had not demonstrated why this restrictive practice was required for each child or the risk it was a control for,” said the statement. One centre had “insufficient records,” around the locking of the kitchen door at night, which would have facilitated an assessment of whether it was necessary. According to the reports, children were generally well informed of their rights in the centres, and participated in decisions about their care. In one residential centre in Kildare, the inspector’s report noted that children received good quality care, and their views were “sought and valued”. Some restrictive practices were used, and systems to ensure that these measures were “appropriate, proportionate and for the shortest duration possible”, were not in place. Though safeguarding measures were used, children told the inspectors that they did not always feel safe. Inspectors sought assurance from management that “immediate steps would be taken to appropriately safeguard all children”. A residential centre in the South of the country underwent significant refurbishment since its last Hiqa inspection, and children told inspectors that it was “a very nice place to live”. Despite this, governance of the centre was “inadequate”, according to the report. Records were difficult to access, and were badly organised, while the system to store information on direct work with children, placements, and meetings was “poor”. There were also deficiencies in “fire safety training and drills within this centre”, and in another centre fire safety records required improvement, said the Hiqa statement. Aftercare services were inadequate and “children were concerned for their future,” in the Kildare centre, according to the report. Inspectors found that none of the children eligible for aftercare services were engaged in them. 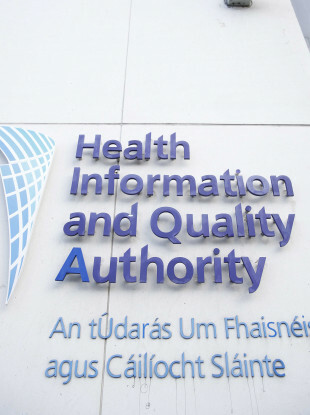 “Three young people spoken with during these inspections told inspectors that they were worried about what would happen when they turned 18, as they had no indication of where they would live or the supports they would have,” said the Hiqa statement. It added that the majority of children aged 16 years or over in one of the residential centres had been allocated an aftercare worker and were working on aftercare plans. One respite centre in the West of the country had no children living in it at the time of inspection, so it was only measured against 4 of 10 national standards, according to the report. A children’s residential centre provides a home for children and young people in care, to ensure their needs are met when they cannot live with their own family. Respite and support centres provide breaks for foster children. Email “Children at Kildare residential centre told inspectors they 'don't always feel safe'”. Feedback on “Children at Kildare residential centre told inspectors they 'don't always feel safe'”.